Bryan Jarboe -- Protect your toes from the chill with this season’s trendiest boots. Winter is here, which means the hunt is on for this season’s trendiest boots. With several styles in mind, students may feel uncertain about which to choose. In the end, we are in search for just the right fit. Women’s winter boots have become more functional, yet they are still fashionable. They are categorized by type, length, color and texture. Finding the right winter boot for any environment is tricky, but with many trends kicking off this season, the list is endless. Boots, such as the classic combat with an oxford twist. Designers have added to the trend a shearling-lined design accentuating the form. Synthetic furs, buckles, studs, straps, scrunched and print are popular when finding the right boot. Folding over the flap and exposing the inside print is a new trend. A great thing about boots is that you can easily lace them up, zip them shut or slip them on, keeping it easy and modern. Another trendy style of boot is the over-the-knee or thigh-high form. If worn correctly with classy apparel, these boots are perfect for winter. Pairing these over-the-knee boots with leggings, skinny jeans, or tights will give you a longer shape and will be the key piece to your outfit. Whichever preference of boot, layers are in. Leg warmers, tights, stockings or even a pair of knitted cable socks go great with them. This allows ladies to still wear dresses and skirts along with their favorite scarves. Remember: find a pair that completes an outfit. Men also have put on their winter boots this season. With boots from military to Chukka boots, the list is unlimited as well. Women borrowed the masculine style of the military boot, otherwise known as combat boot, but gave it their feminine twist with either fur or plaid fabric all through the inside of the boot. The hottest trend for men’s footwear is motorcycle boots, keeping their rock-hard image the staple of their fashion statement. 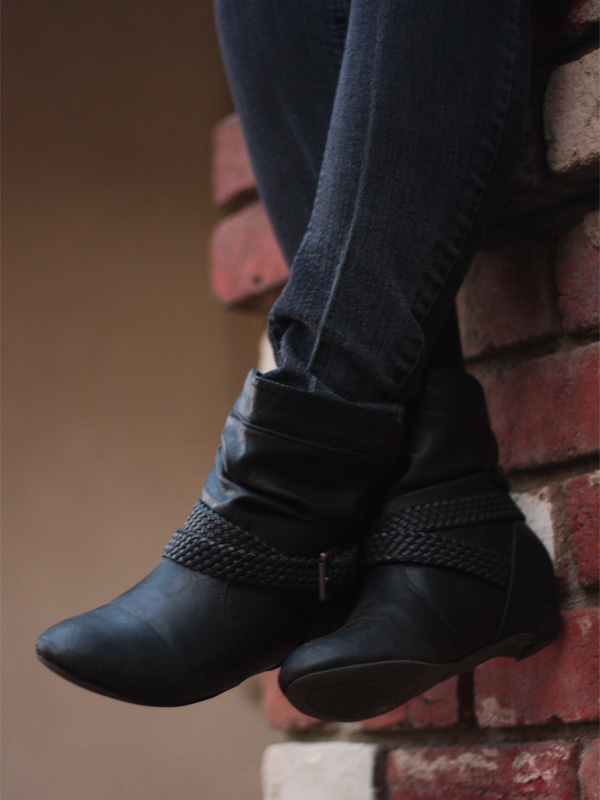 These boots are perfect when pairing with jeans on the weekend when you want that extra edge. Chukka boots have also made its mark. Hit at the ankle with a few laces look like a rendition of moccasins with a vintage twist of oxfords. These boots can be more on the hipster scene but are compatible if pairing with jeans or dressy of with slim-fit slacks. Now that winter is here, to men and women, grab a pair of boots that will define your style or maybe just the look you are going for that day, whether if its edgy or hipster, a pair of boots will keep your feet warm and keep your style on point.